Some 250 miles above the surface of our planet, home improvements are taking place aboard the International Space Station (ISS). 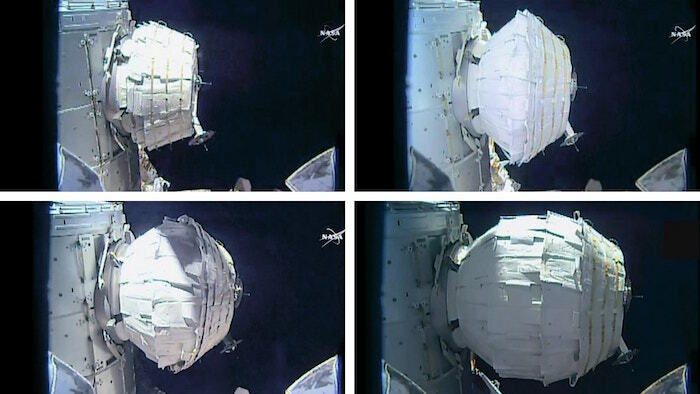 The Station’s latest structural addition, the Bigelow Expandable Activity Module (BEAM), is currently halfway through its two-year trial deployment. As Bigelow’s prototype BA330 habitat celebrates a year on orbit, its initial success is a good sign for the future of in-space living quarters: Thus far, the inflatable module has successfully demonstrated its ability to reasonably withstand the hazardous space environment. As commercial space companies and agencies prepare to establish an increased human presence off-planet, the early lessons learned from BEAM will prove invaluable for future generations of in-space habitats. The recent addition of a 3D-printed radiation shield to one of BEAM’s interior sensors is a practical example of the potential interplay between in-space ventures, and hints at the exciting progress we can anticipate as more in-space industrials come online. After a year in orbit, the Bigelow Expandable Activity Module has held its own in the vacuum of space. Since the module was inflated and pressurized in late May of 2016, Bigelow engineers and NASA analysts have been watching closely to see whether the company’s novel soft-sided habitat will be able to protect inhabitants from the dangers of space. Of primary concern during these first twelve months was BEAM’s ability to withstand impacts from space debris. BEAM has thus far demonstrated its ability to endure impacts from a number of micrometeorites––a naturally-occurring type of space debris characterized by a small size and a rocky composition. The module must also be able to withstand artificial (or “orbital”) space debris, which are the defunct man-made objects (or fragments of same) that orbit our planet. At first blush, a soft-sided inflatable module may not seem like a particularly sturdy structure––especially when you consider the fact that space debris can travel at speeds up to 17,500 miles per hour. However, it is precisely this woven construction that enables BEAM to better resist catastrophic damage from debris impacts. Bigelow’s habitat is made of multiple layers of a proprietary Vectran-like textile that functions like a high-tech bulletproof vest. 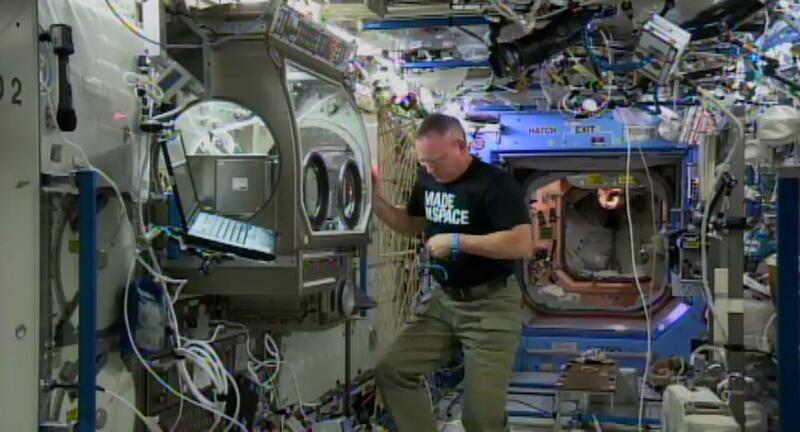 A much-appreciated ancillary benefit of BEAM’s woven exterior is the quiet environment it provides for ISS crewmembers. Imagine, for a moment, life aboard the Space Station––and then turn up the volume to 11. The ISS is actually an extremely noisy place. The background clamor of the station’s many life support systems is a fact of life for crewmembers, and has resulted in hearing damage and additional stress. Part of this may be due to the aluminum structure of the space station––the metallic frame creates an echo effect, adding to the overall din. By contrast, a soft-sided habitat like BEAM would absorb the ambient noise, rather than contributing to the problem. For the crew aboard the ISS, this would be a welcome change that would increase their quality of life in space. Cosmic Radiation: Addressing the unavoidable perils of life off-planet. 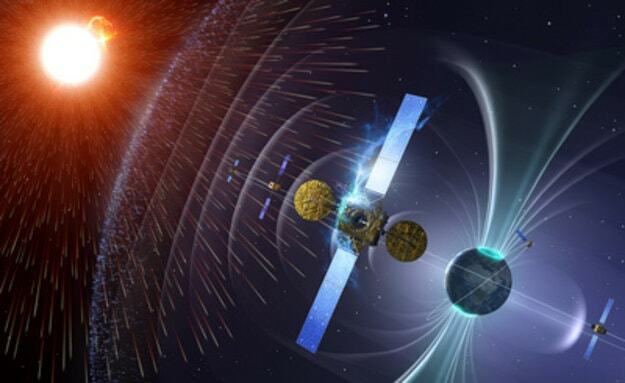 ‍Image credit: European Space Agency / Artist’s conception of in-space radiation. 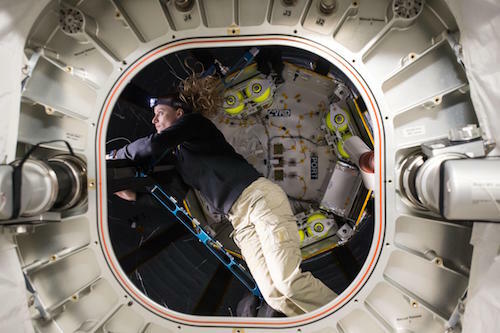 As BEAM enters its second year docked to the ISS, Bigelow is hopeful that their expandable habitat will continue to validate their claims that BEAM will protect astronauts at least as well as the current Space Station. While the habitat has proven resistant thus far to impacts from space debris, micrometeorites are not the only hazards with which the must ISS contend. The next major concern for NASA and Bigelow––and for anyone spending significant time off-Earth, really––is the problem of space radiation. In the vacuum of space, there are several types of omnipresent ionizing radiation. Some of this radiation emanates from our sun, in the form of particles ejected during solar flares. Other ionizing particles enter our Solar System from far more distant stars. No matter the source, space radiation poses a danger to both spacecraft and human biological systems. The BEAM habitat has been engineered to provide inhabitants a level of protection against space radiation. According to Bigelow, the module’s woven textile exterior counteracts the scattering effect that occurs when radiation hits other areas of the the aluminum-sided ISS. This radiation “splintering” creates a higher number of lower-energy ionizing particles, which still pose a threat to the Station and its crew. In order to ascertain how much radiation is able to penetrate BEAM’s inflatable exterior, ISS crewmembers placed a pair of instruments––called Radiation Environment Monitors (REMs)––inside the living space of the module. Preliminary analysis of radiation levels within BEAM indicate that levels are similar for both the expandable habitat and the rest of the Space Station. While the problem of ionizing radiation can be somewhat mitigated by Earth’s magnetosphere, those agencies and companies planning to venture into more remote (deep space) regions must be prepared to face still-harsher conditions than those of low-Earth orbit. Any long-term in-space activity (including any and all space-based commercial ventures, like mining operations and crewed outposts) will need to find ways to address the hazards of life in space. These perils may, in fact, represent an opportunity for other ambitious commercial space companies to demonstrate their complementary strengths. NASA’s 3D-printed radiation shields will undergo testing within the BEAM habitat. As researchers continue to monitor BEAM during the second half of its test-run on orbit, NASA has turned to commercial space for assistance. NASA’s radiation researchers will be using California-based Made in Space’s Additive Manufacturing Facility (AMF)––a 3D printer already installed aboard the ISS––in order to gauge the interplay between the BEAM environment, ionizing particles, and prototypical 3D-printed radiation barriers. ISS crewmembers used the AMF to print a small hemispherical radiation shield, which measures a mere 1.1 millimeters thick. The composition of this barrier is based on NASA-funded research into the costs and benefits of additive-manufactured radiation shields, undertaken by Tethers Unlimitedduring 2016. This small shield was then affixed to one of the two REMs inside of BEAM. Radiation researchers at NASA’s Johnson Space Center will remotely measure the real-life impact of the 3D-printed shield––and its successors, which will offer incrementally more protection––to see whether the shielded monitor registers a lower concentration of ionizing particles than its un-shielded companion. This will provide critical data that could be used to prepare future expandable habitats for deployment in deeper space. By installing their Additive Manufacturing Facility aboard the ISS, Made in Space has provided a valuable tool to the station’s crew members. This tool is now being used to innovate and improve upon another commercial space company’s similarly-valuable technology. For those with a vested interest in the development of entrepreneurial space, this cooperative use of complementary technologies is a great sign; an indicator of a broader movement within the commercial space industry towards a functional in-space economy. Commercial space will continue to advance humanity’s goals in low-Earth orbit and beyond. BEAM’s first year in orbit has provided both NASA and Bigelow with insights into very real ways to actualize broader industry ambitions. 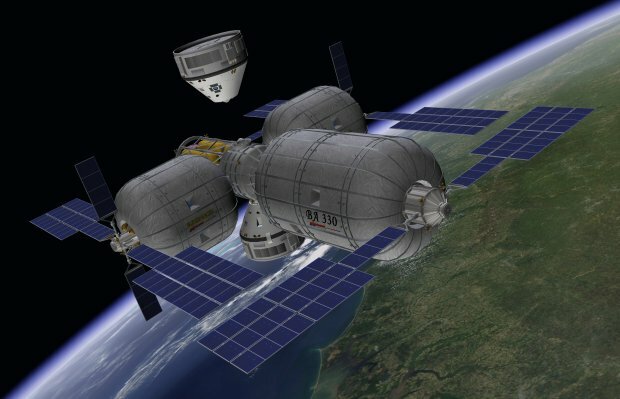 BEAM’s initial successes have encouraged Bigelow to pursue their plans for a private orbiting space station, which they hope to deploy in cislunar territory in 2020 (through a partnership with United Launch Alliance). NASA’s intent to continue using Made in Space’s AMF to create radiation shields––and then test them within Bigelow’s prototype commercial habitat––serves as a contemporaneous case study into how an in-space economy can develop and become sustainable. It is also an exciting indication of the current momentum within the private space industry, and the progress towards deep space settlement. There’s never been a more exciting time to get involved in commercial space. If you’re ready to start investing in private space companies, we invite you to apply for membership to Space Angels.